When you’re the property manager of a residential complex, you’re bound to encounter situations where you must be out of the office. This can present some challenges if, for instance, you have a crew that is in the middle of a project to install windows in Oshawa, ON. While any of a number of issues – related to business, family or health, for instance – could require that you be away for a time, you need to ensure that you plan ahead. This is especially the case if a project is still underway or if there are any unresolved issues with tenants. Here’s what you need to do to ensure that there’s as little disruption as possible when you’re away. It’s important that you let tenants, contractors and other relevant parties know not only when you’ll be gone, but also how long you’ll be gone. Be specific by communicating the day you’ll be leaving and the day you’ll be returning. While there may be circumstances where you must leave on short notice, you should do everything you can to give as much advance notice as possible. Depending on the number of tenants in your residential complex, you may have unfinished business with one or more of them at any given time. If you’ll be away, seek to tie up loose ends beforehand. You should otherwise let the tenants in question know that you will get in touch when you get back or you can assign an assistant to fill in for you while you’re away. You might not have to find a fill-in if you’ll only be away for a day or two, but it may be best to delegate more responsibilities to one or more of your staff to fill in while your gone. This is critically important if there are serious issues that must be dealt with whether you’re there or not. An ideal situation would be for you to delegate your responsibilities as property manager to someone else while you’ll be away. But even if this is the case, there will be times when someone will need to reach you. Ensure that tenants, contractors and your fill-in have some way to get in touch with you even if you’re not in the office. You don’t want to have to deal with a bunch of tenants who are upset about your not having responded to their queries on time. You no doubt understand that property managers have a lot on their plate – especially when they oversee residential complexes with lots of tenants. But if you keep in mind the aforementioned points, you should be able to navigate this sort of situation. At Brock Doors and Windows Ltd., we understand that there are times when you might be away. We’ll work with you to accommodate your busy schedule. 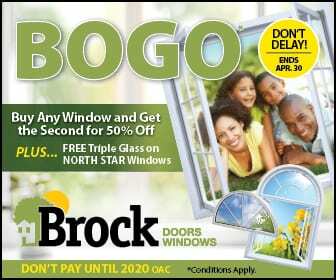 For the best in Oshawa, ON windows, why not check out our Whitby location? You can get in touch by calling (905) 720-3610 or you can stop by our showroom at 1751 Wentworth St Unit 4-6 Whitby, ON L1N 8M2.